This creamy Indian curry is just what you need for a comforting family dinner. When you come across pan-fried cubed specialty cheese in a curry sauce, then you’ll know that this is a malai paneer recipe. Resembling fried tofu with Indian gravy, the malai paneer curry is both flavourful and nutritious. Follow this step-by-step guide on how to cook this easy Indian recipe in 30 minutes. A fantastic way to cook a decadent, vegetarian meal after you come home from an exhausting day. When you prepare malai paneer in your kitchen, you’ll never order Indian takeaway again. Before we advance to the malai paneer recipe, I am going to give you an explanation on what the dish actually is. Malai is a specialty ingredient from the Indian subcontinent, made from warmed up non-homogenized whole milk. This is a process where almost all the fat is removed, which can be seen as a thick yellow layer on top of the milk. The fat is later skimmed-off from the surface. It is quite a rich ingredient, containing more than 50% butterfat. Apparently, the best milk to produce malai from, comes from buffalo milk because of its high-fat content. However, the traditional version of malai is made from cow’s milk. Ordinarily, malai is mostly used for a malai kofta recipe as dumplings instead of using meat alternatives like beef or lamb. A typical substitute to malai is coconut cream. However, these are also related: kaymak (cheese from Balkan countries) or clotted cream. Paneer, is an unaged cheese made by curdled heated milk with lemon juice or vinegar. You might also know paneer as poneer, ponir, fonir or chhana. It comes from the Turkish word ‘peynir‘ and the Persian word ‘panir‘ which refers to any type of cheese. Apparently, foodies and historians argue over the origin of this cheese, but it is said to have Indian, Portuguese-Benagli and Afghan origins. It comes in various shapes and sizes, and you can serve it in multiple ways. Sometimes, the paneer comes in a packaged version where it is pre-cut into small cubes. Similarly to tofu, there are also versions where you’ll have to do the cutting yourself. Although, if you go cut the paneer yourself, your malai paneer can take any shape you want! So, this is the first step you need to follow. Once you cut the paneer into your desired shape and have it ready, you’ll need to pan fry it in oil until browned and crisp. You can fry it in vegetable oil or unscented coconut oil. Do not fry it in olive oil because firstly, it will stick to the pan more and second, it might also catch the fragrance of olives. You might need to fry the paneer in batches so everything is browned evenly. Once you fry off the last batch, drain the paneer with a kitchen towel and set aside. This will absorb excess oil. I would argue that this is one of the most important steps in this malai paneer recipe because this is where the flavor comes from. First, you need to fry the onions and cumin seeds in the same pan. This way, the flavour from the cumin seeds will fuse with the onion. Once the onions are soft, add the garlic and ginger and cook for a further two minutes. You will create a sort of chunky aromatic garlic ginger paste. There are possibilities of buying the garlic ginger paste beforehand, but you’ll never be able to extract as much flavour as when you make it from scratch. Next, add the almonds, turmeric, coriander, fenugreek, chili, sugar, cream, tomato paste and vegetable stock in the pan. You can also use ground almonds or ground cashews or a combination of both. 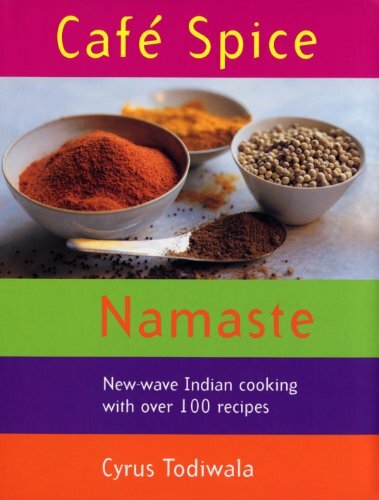 Personally, I enjoy a bit of a kick when I cook Indian, so I like to go all in with the spices. Stir all the ingredients and let it bubble for 5 minutes. Generally, I like to extend the simmering period a bit longer so that all the flavours from the different ingredients have a chance to release into the malai paneer curry. Let the sauce come together, remember to stir well. Add the paneer you’ve set aside earlier in the pan and let it heat through. You’ll start seeing your malai curry starting to take on a rich and creamy resemblance. Prior to serving the malai paneer, take out a teaspoon and do a taste check for final seasoning. Add any spice you feel that is missing and then you are ready to serve! The best way to serve the malai paneer is to serve it immediately once you take it off the heat. Serve it with rice, naan or roti. For a healthier and lighter alternative, you can also serve it with these roasted green beans with garlic. Alternatively, if you happen to have made a light Indian dinner like this one the night before, you can easily use it as a side dish to the rich malai paneer. I like to serve the malai paneer in a bowl with a side of roti. As a finishing touch, I love to add freshly cut red chili and sprinkle a bit of lime for that extra flavour. A very common variation of malai paneer is palak paneer. The latter is a vegetarian alternative which consists of paneer and a thick spinach paste, seasoned with garam masala powder, garlic and other spices. Altogether, the malai paneer is green. You might also know mattar paneer, which is a paneer which you make out of peas. Otherwise, khoya paneer uses ginger and tomato and is generally quite spicy. Paneer is such a versatile ingredient, you can serve it in any form or variation you wish! This week one lucky reader can win 1 x Encyclopedia of Chocolate which is a comprehensive reference for cooking with chocolate at home includes recipes and professional techniques from the legendary Valrhona culinary school. Competition Question: What is your favourite paneer recipe? Malai paneer is a cream Indian curry which combines pan-fried paneer with a ginger garlic paste and other Indian spices. Learn how to make it step-by-step. Fry the paneer in oil until browned and crisp. You might need to do this in batches. Drain an kitchen paper and set aside. Fry the onion and cumin seeds in the same pan. When the onions have softened, add the garlic and ginger and cook for a further 2 minutes. Add the almonds, turmeric, coriander, fenugreek, chilli, sugar, cream, tomato paste and vegetable stock in the pan. Stir all the ingredients and let it bubble for 5 minutes. Once the sauce has come together, add the paneer and let it heat through. Serve immediately with rice, naan or roti. Instead of ground almonds you can use ground cashews or a combination of both. Aloo Paneer is my favourite – I like it in my lunch box for work! It could be this one!